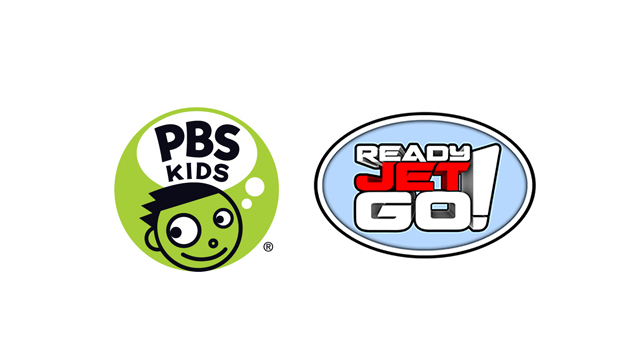 Arlington, VA, April 9, 2015 – In winter 2016, PBS KIDS will premiere READY JET GO!, a new 3-D animated series that will help children learn astronomy and Earth science concepts. Created by Craig Bartlett, who also created the PBS KIDS hit series DINOSAUR TRAIN for The Jim Henson Company, READY JET GO! is designed for kids ages 3-8, with a focus on astronomy, technology, scientific exploration, innovation and invention. The multiplatform media property will debut on PBS stations nationwide, along with integrated digital content. “PBS KIDS aims to spark children’s curiosity and excitement about learning,” said Lesli Rotenberg, General Manager, Children’s Media, PBS. “READY JET GO! introduces a variety of science concepts through the lens of space exploration, a topic that we know children become interested in starting at a very young age. Jet is a role model that our viewers can look up to, modeling the habits of a good scientist that kids can apply to their own adventures as they explore the real world around them." “The goal of the music in READY JET GO! is to engage, entertain and foster a love of science exploration in all kids,” said Craig Bartlett, series creator. “The inspiration for the series’ music comes from a variety of genres – from rock ’n’ roll to musical theater; the result is a collection of fun songs with snappy rhyming lyrics that will appeal to kids and parents alike." The READY JET GO! television series is part of a multiplatform media experience that will also include interactive content online and on mobile. The series will offer a variety of games, hands-on activities and parent resources online at pbskids.org, as well as mobile apps. READY JET GO!’s digital content will help inspire children’s curiosity and excitement about science and space. Digital content related to the series will launch in winter 2016. READY JET GO! is part of PBS KIDS’ ongoing commitment to helping kids build the skills they need to succeed in school and in life. PBS KIDS serves young audiences wherever they live, learn and play — through educational apps, on TV, online and in communities.